This post was written in partnership with World Market. Opinions are always my own. Hope you all had a nice long holiday weekend. I am really excited to share our loft space with you today. It’s one of those spots that we neglected after moving in. We had the movers bring up our sectional from our former home (had it custom-made to fit our last living room and it’s still going strong) and the children’s toys. We pretty much called it a day after that. So it feels great to make it a spot in which we truly love to hang out. 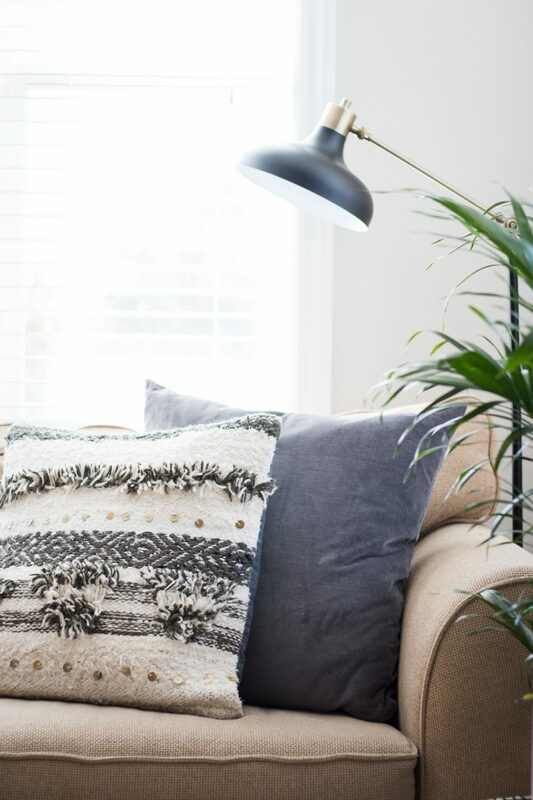 I partnered with World Market to add a few special touches to really make it a cozy place. I should have taken a photo before. Just picture lots of primary colors. When our children were smaller, all of their toy storage was vibrant and colorful. It was perfect for the stage they were in. Now that they are getting older, my daughter really wanted this to be a space where she could hang out with her friends. I am all for that. It’s still our playroom and most of the time the floor is covered in Legos, but that’s how we like it. Besides the new touches from World Market, almost everything in here is from our former home. 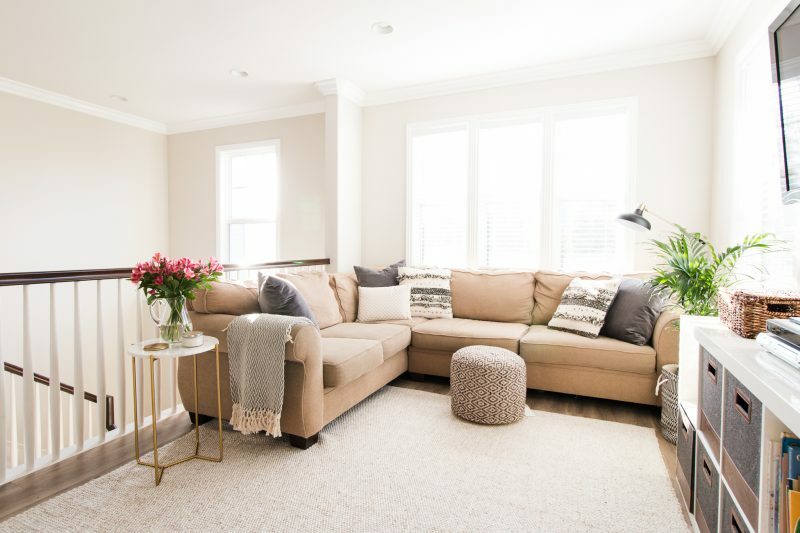 Thought it would be fun to share my best tips on creating a neutral space that works for the whole family. So here’s the thing. I LOVE color. I crave color and much of our home has a very healthy dose of it (our powder bathroom comes to mind)! 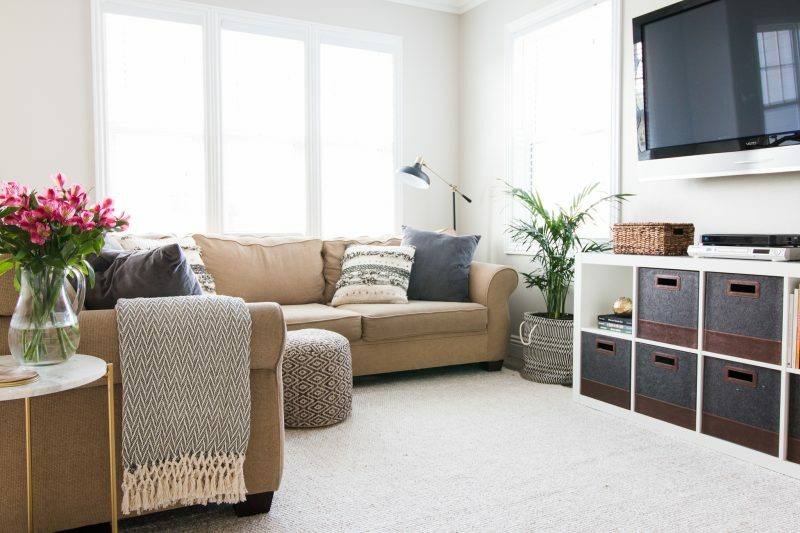 But I do feel that a playroom/hang-out spot does really well dressed in neutrals. The reason is that the toys, games, hockey sticks, friends, family members, etc. all add the color. When you have all of the “stuff” out and around it doesn’t seem to matter. It fits right in. I also feel that keeping a family space neutral allows you to add in fun color for holidays or other occasions. 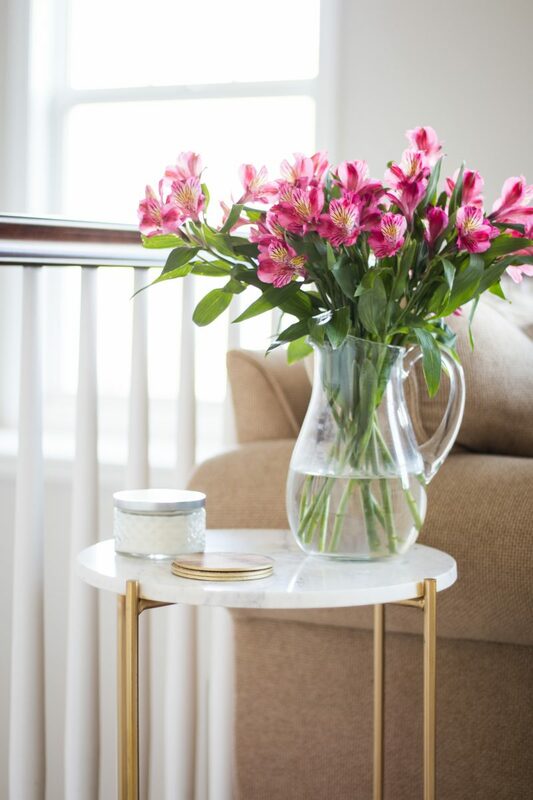 In this case, the inexpensive bouquet of flowers from Trader Joe’s really gets noticed. I like that. Or you could swap out the pillows for something fun from time to time. 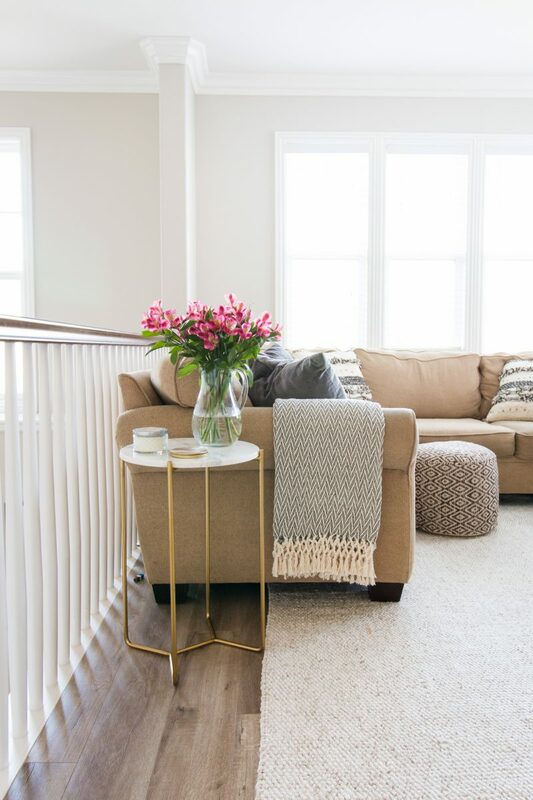 Neutrals can be so relaxing, too. I love going up here in the evening to work on the blog or read a good book. (You may recognize the gold cornered frames. 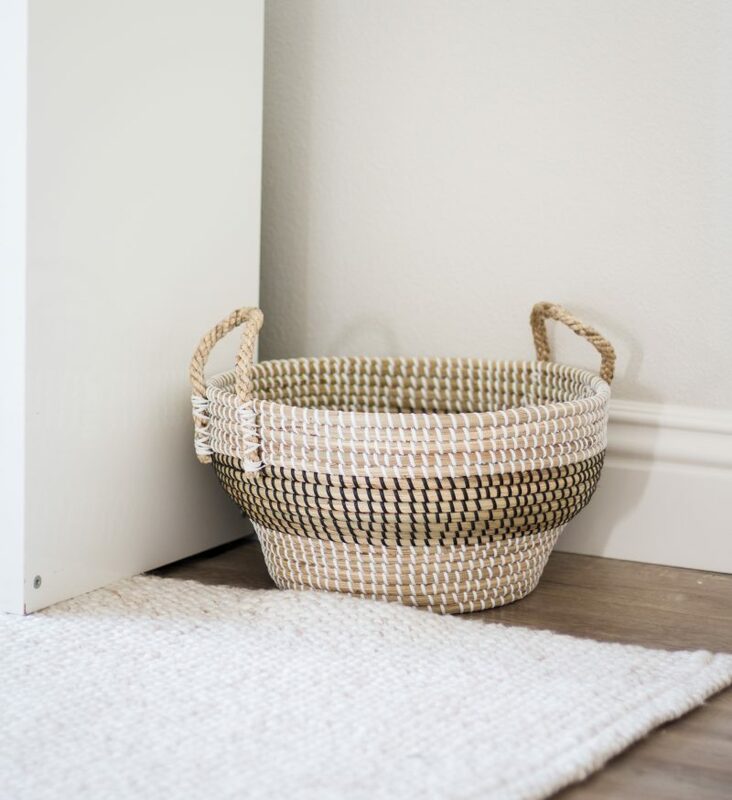 One of my most popular DIY projects ever). Because we chose to keep things neutral, to avoid it looking flat or drab we added in a bunch of textures. Pretty much everything in the space has a different texture. 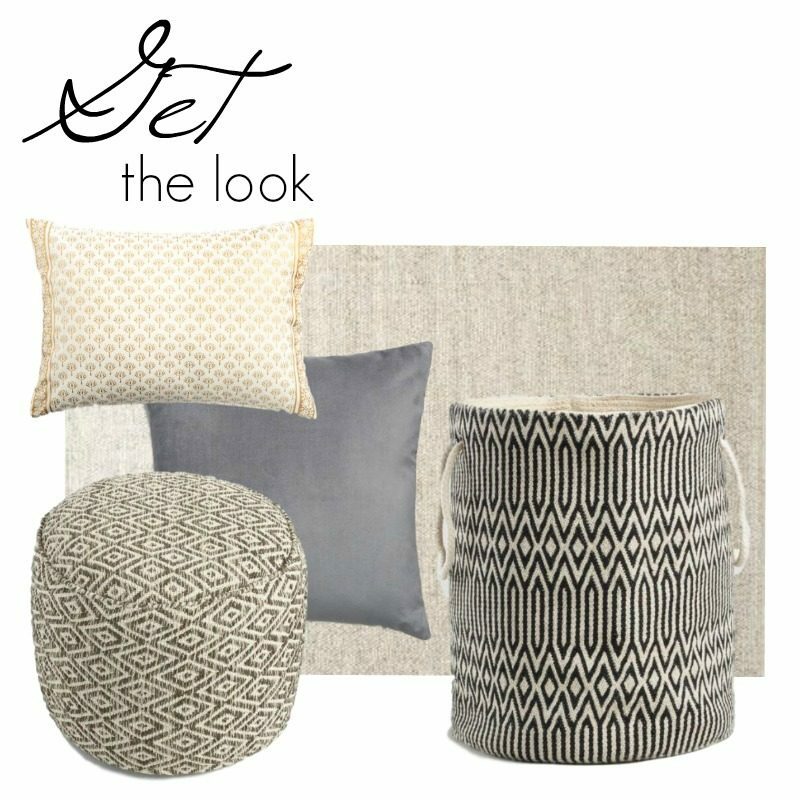 The pillows, the pouf, the rug, the baskets . . . and even the metal on the table. They all have a different texture but work well together. This World Market rug is so very soft underfoot. The entire family loves it. And there are no shortage of wrestling matches on this baby. It also comes in a beautiful pink that caught my eye in store. The pink is exactly how it appears online. Highly recommend if you are needing to dress up a nursery or little girl’s room. The cream and ivory pillows are not online but check your local World Market if you are interested. I really like the texture they add to this space. I think every space needs a little bit of glam. It adds some sophistication and interest. I found this table at Target (not online) but this would be a cute option, too. We chose not to put a coffee table in here so that the kids can run around, play hockey, relax, and set up Lego towns whenever they want. We don’t eat up here either which helps keep things clean. I am big on creating systems. If one of our rooms or closets is consistently a mess, I know it’s because we just don’t have a system in place. It may take me a year to get around to figuring it out, but eventually I do. I have learned that in a play space like this loft, junk finds its way to the floor. It’s just a fact of life. So I have also learned to have an empty basket in which I can toss all said “junk” when it gets to be too much. That’s when I tell the kids to come put it all away. Of course we have the toy bins in the white shelving unit, too. That’s where most of the toys go. But the extra trinkets that just appear ( you know what I am talking about) all get tossed in this basket. If it’s a place to unwind, relax, and hang out it needs to be comfortable. While there are a couple of decorative pillows, the gray large ones are soft and comfy. I love velvet anything for kicking back and getting cozy. The kids are free to toss them on the floor or build a fort with them. It’s all good and they are easy to toss back on the sofa when we clean up. We swapped out our red toy bins for these gray felt and leather ones. They work really well in the space. I will fill you in with an upcoming post on how we have organized everything. But no matter what, you need a place to keep the toys and games. I have always been a fan of these bins for doing just that. Like with anything else, they can get messy over time so we go through them probably every 2-3 months to sort through and keep on top of things. It never takes more than 15 minutes to do with the kids. You can also see the great texture on this rug in this photo. The sweater rug is currently on sale and such a steal!!! It has some stretch to it (hence the name, sweater rug) but we are good with that. You can see the rug sale here. The pouf was a game changer. Even my husband has commented on that. As I mentioned, we didn’t want to fill the space with a coffee table but having a high pouf has made lounging so much better. We can all pile on the sofa and every single person has a spot to put up their feet. Plus they can easily be tossed out-of-the-way when playing a game or used as more seating. Big fan of the pouf in any family playroom. Rooms that really get lived in and loved don’t need to be over styled. Less is more. Keep the color scheme consistent and mix many textures, but keep it simple. 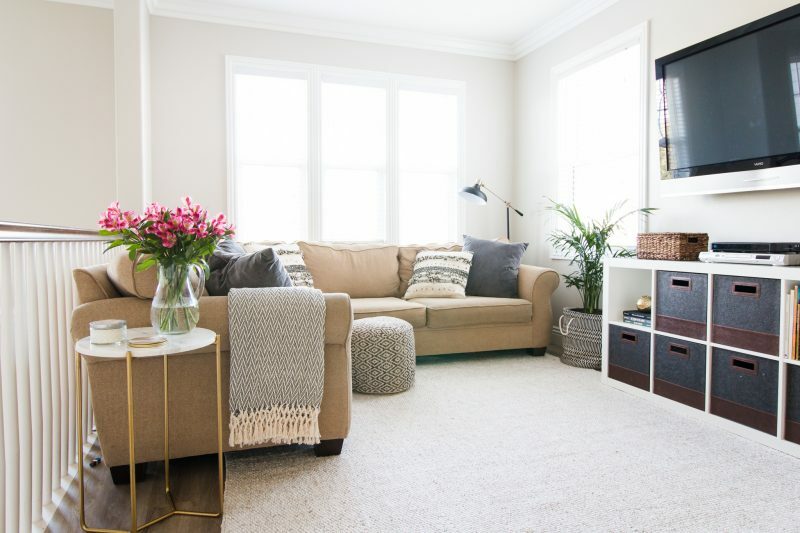 A nice neutral rug and some interesting throw pillows go a long way. It’s so much easier to maintain a space like this when there is not much to maintain. The loft is the first spot you see when you walk upstairs so it makes sense for us to keep it fairly minimal. My favorite time to be in our loft is during late afternoon and sunset. The glow from the window is so pretty and so are the sunset views. It’s really been nice to have another spot to relax and snuggle the kids in the evening. (These were snapped before I moved the rug back under the sofa!). Thank you for letting me share this space with you. I do plan to add window treatments and will show you when I do. For now we are enjoying our new loft and clocking a ton of time here as a family. Beautiful! I love it! Can you tell me what color are your floors? Where did you get them? Hi Michelle! Thank you. Gosh. I should know that but can’t remember off the top of my head. I will go back and look through my paperwork. Have a great day. You are so good at what you do. You make everything seems effortless. Beautiful, space – and perfect for real life! Oh, thank you, Lauren. That’s a really nice compliment. We are really enjoying it so far. 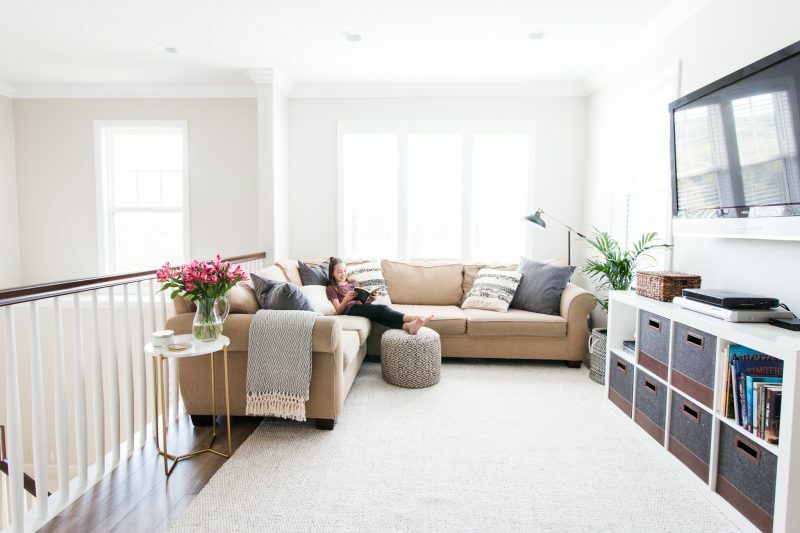 It’s crazy how giving a space a little bit of attention allows you to completely rediscover it. I remember when I was little and wanting to move my furniture around. Each time we did it felt like a new space. Some things never change, right?! Enjoy your week. 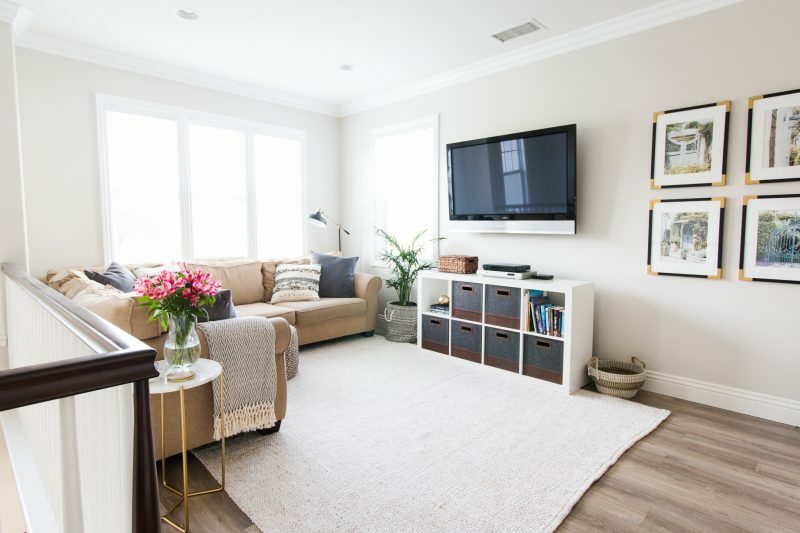 what a great space for your family. I’m also transitioning those primary colors in my kids spaces while still trying to keep it kid friendly. Love how you repurposed your furniture from your last house…looks nice and refreshed here! Thank you sweet girl. We were excited that sofa worked in this space. While it’s seen better days it’s so comfy and has so many memories attached to it! Miss you!!! I am so inspired by this space. Love the bins in the cubbies. I think I have an expedit/kallax in almost every room of our home. I’ve been trying to figure out the right combination and now I have it. My local target doesn’t have them, but I think I saw something similar at IKEA. Looking forward to how you organized those bins! This is a fabulous space! We have a room at the top of our back staircase that once was the girls playroom/media room. I loved that I could still hear “everything” even when downstairs in our family room. 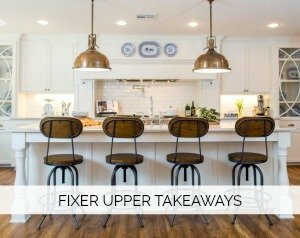 Love the use of neutrals and all the texture. Looks lovely! 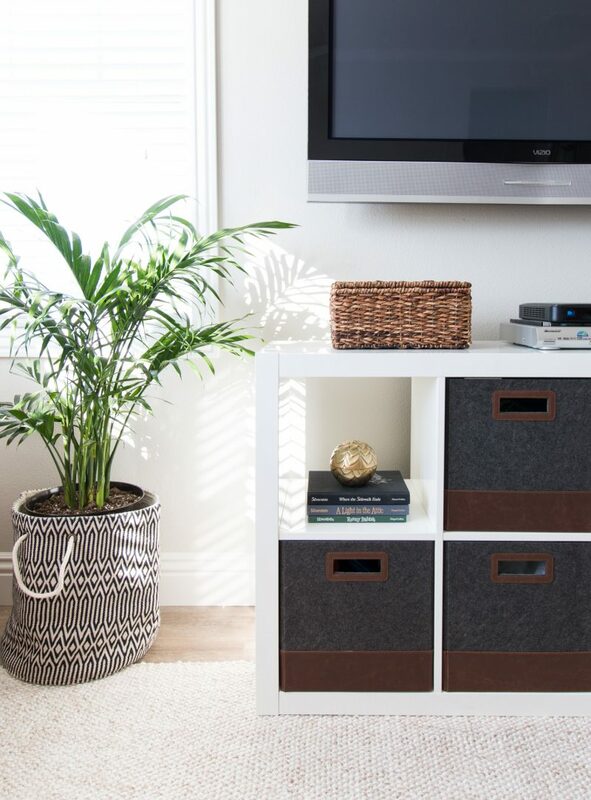 I’m curious how you hid your television cords? Did you run them inside the walls? Hi Lisa. Thank you! Yes. My husband is super handy so he ran them through the wall. We did that in our last home, too. And we accidentally hung the tv a tad too high but it’s soooooo heavy to move so I think it’s saying put for now!! Looks so cozy and inviting for kiddos and adults. Perfection! Love your style, Courtney!! Where did you get the shelving unit from? 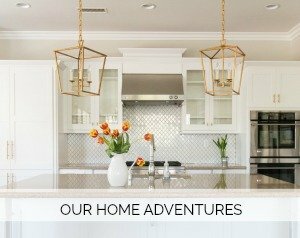 Thanks for sharing your gorgeous house! I love World Market. This is a beautiful space! Thanks for sharing this with us at Family Joy Blog Link Up Party. Have a wonderful week! I love this loft space! It looks so comfy and cozy – but also bright and airy. You pulled it off so well! Also, totally inspiring me to add some poufs into my home. Thanks for sharing with us on the Family Joy Blog Link Party! What a beautiful room! I love all the textures and different fabrics you used in the room. A very pretty place to unwind and feel relaxed. Thanks for sharing your helpful tips at DI&DI. 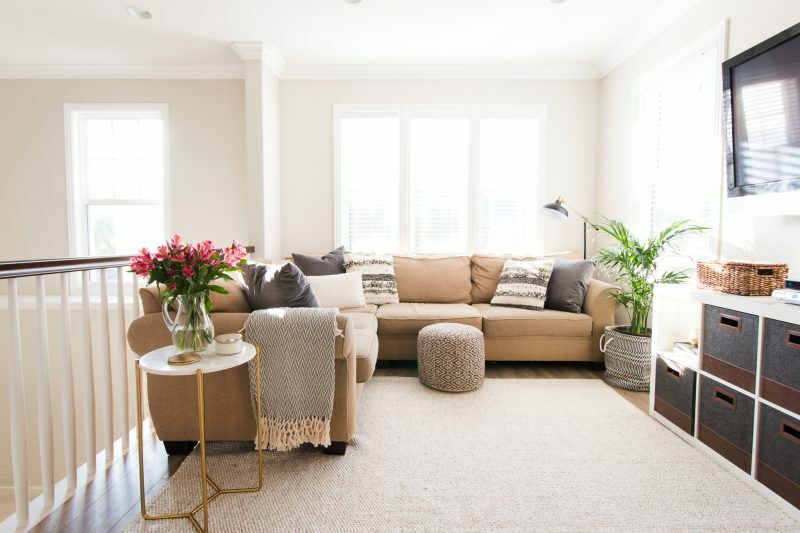 What an incredible, relaxing looking space! Thanks for sharing with us at Funtastic Friday! This is absolutely gorgeous Courtney! I love the classic elegant look that is also so cozy. Love your timeless style! Love this comfy room! Want to do something similar. Is your Ikea shelf unit in plain white or the high gloss white? 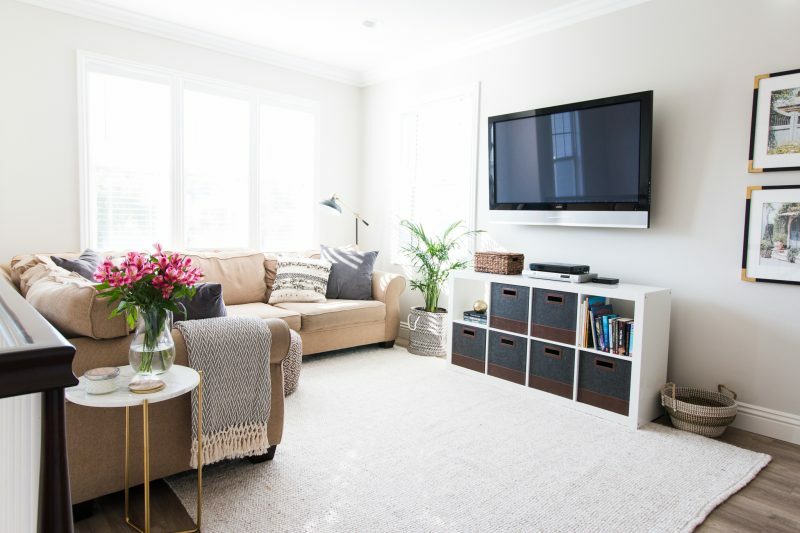 Which would you suggest for a family room?